I bet most of you have already finished your holiday home decoration. 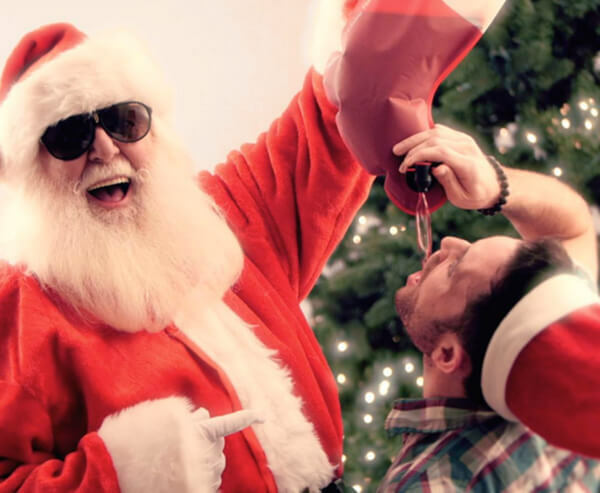 But if you are one of those perfectionist and always want to be better you might need to think about hanging one of those Santa’s Flask at home especially you are to hold a Xmas party. 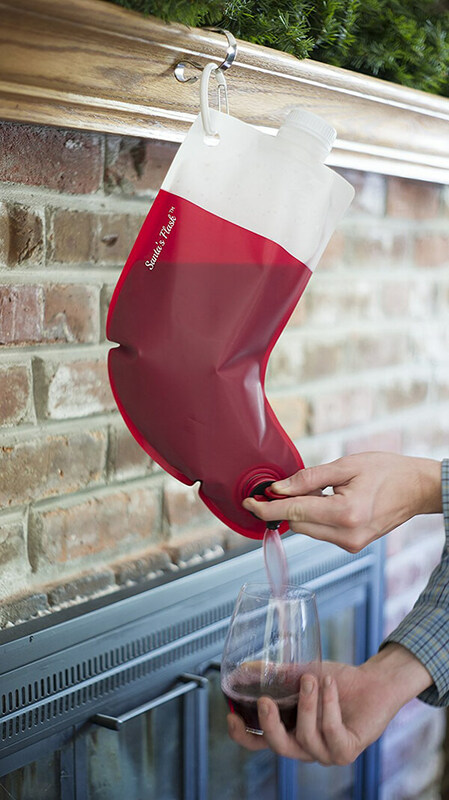 This stocking can easily dispenses all your favorite spiked holiday drinks such as wine, mixed drinks, or just to fill with some juice for the kids to enjoy. Made from BPA-free, FDA approved food grade plastic and it can hold up to 2.25 liters. 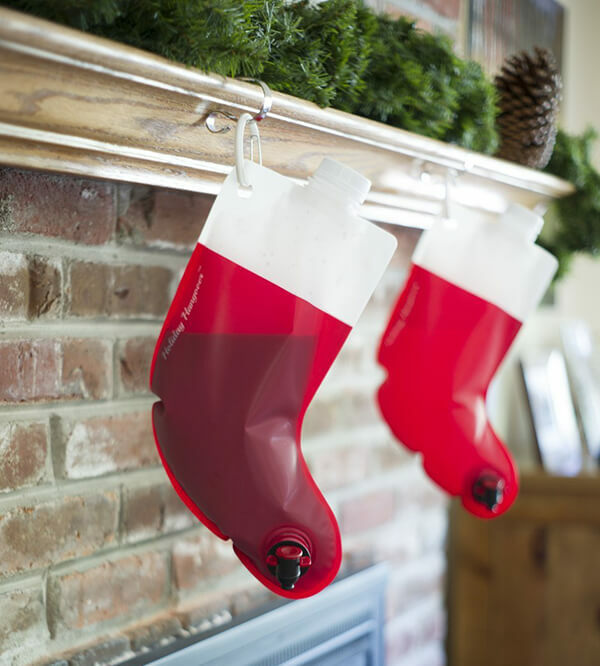 Using a loop on the end of the stocking you can easily attach the stocking to your mantle or a kitchen cupboard, which makes it great for parties. 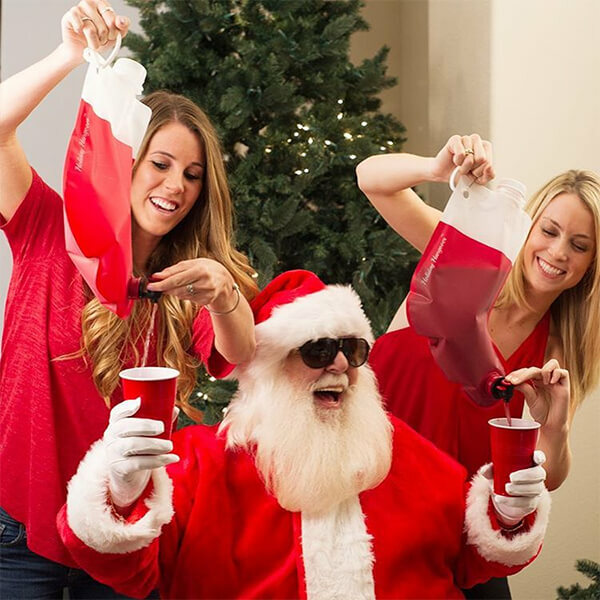 Are you ready to get some drink from this Santa’s stocking?